You asked for them. We delivered. 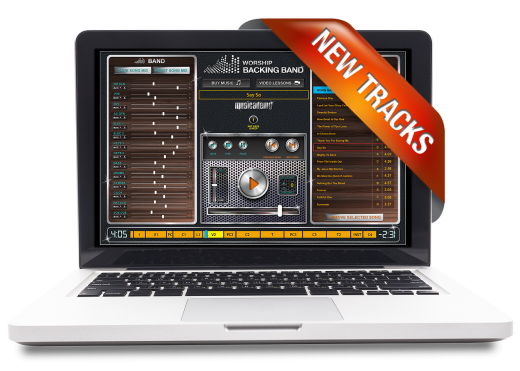 10 hymn MultiTracks in a contemporary band style. No hymn rewrites. No hymns with added choruses or bridges. No hymns with new tunes. Simply well known hymns with a modern backing band that you can play and sing along to in church. But these things aren’t always as straightforward as they seem. Firstly we needed a range of hymns that are known and popular across both sides of the pond. Secondly, even with hymns that are well known, their most popular melodies, lyrics and verse structures can differ from country to country. So it’s quite difficult to please all the people all the time! That said, we’ve worked hard to marry up the most popular tunes and lyrics with contemporary arrangements that we hope you’ll really enjoy! Don’t forget; if you need chord charts we’ve produced Every Key Chord Charts for each of these hymns (available by clicking on the song links above). These match the arrangements and chords used in our recordings exactly. Every Key Chord Charts are much more than a regular chord chart. All chords are neatly laid out over 4 bar sections so you can see exactly over which beats all the changes happen, verses are clearly demarcated for easy reading at a glance, there’s a song structure roadmap and even a strumming pattern for guitarists. And don’t forget you get a chart in all 12 keys so if you want to change the key you can still play along! All in all Every Key Chord Charts are more of a cross over between chord chart and lead sheet, and all for non music readers!